Aakash tablet for students pre booking has brought huge response. Aakash Tablet PC has revolutionized the Indian tablet market as the major attraction is the price of the Gadget. Over 100000 Aakash tablet is distributed, you can book the Tablet PC online from this year 2011. Other exciting thing about Akash Tablet PC is that the second Generation of Akash tablet Aakash-2 will also be available in the market early next year with upgraded features. Aakash tablet currently introduced in Indian has revolutionized the Indian tablet market, the major reason for the Aakash tablet is its cost,it is cheapest tablet that is available in the market today. The price of the new Aakash tablet stars from Rs 1750 and govt of India is giving concession for students in the price of the gadget. Students will be provided with the new tablet with the range of $30, but the market price will start from $60 onwards, the tablet will be launched later this year in the Indian market. India is taking the tablet from the British company Datawind at price of $50 per piece. Government has already distributed around 150000 pieces in various Universities and Colleges in the country. The most exciting news coming out from the government of India officials and Information and broadcasting minister kabil Sibil is that the second generation of Aakash tablets is in the making. 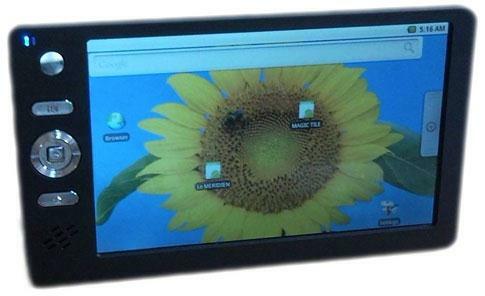 The second generation of the Tablet PC Akash is named Akash-2. Aakash -2 is expected to be out in the Indian and global market by 2012 February. The great response that Akash -1 got in the market inspired the creation of Aakash-2, the Aakash-2 is is having 800 MHz processor in place of 300 MHz, this will improve the speed of the tablet providing a new experience to the users. RAM is also enhanced to 1GB from 256 MB, IIT Rajasthan team is on the making of new and improved version of Akash with an inbuilt camera to enable video chatting. Now you can book the Aksah Tablet PC online, Govt of India has provided the option for students and all others the opportunity to own a Akash tablet. Visit the official website of Aakash tablet, http://www.akashtablet.com/. Fist fill your detail in the provides space, with all your details including Email ID. For futher details contact on 1800 180 2180. Planning to buy a new tablet PC? Read this post to know the top 10 cheapest tablets under Rs.10000 in India. Aakash tablet sale online has started priced at Rs 2500. Also the pre-order booking of Ubislate 7 too has started. Read how to book Aakash tablet online with out prepayment which would be delivered home with in 7 days of pre order. Aakash tablet for students in Mumbai will be available at Rs 1,138 much less than its market price of Rs 2,500. So now the college students in Mumbai will have one more reason to celebrate Christmas. The low cost tablet will be made available to 100 varsities which include the Mumbai University. Datawind, the manufacturer of low cost Aakash Tablet has started email service support to help their customers. One can ask any queries related to Aakash, online booking and delivery status . The datawind customer help desk will respond immediately to your query via email. Read the below article to get more details. This article is about Aakash Tablet. Read the article to know complete Aakash specifications, features, price and news. Aakash Tablet is the world's cheapest tablet released by HRD minister on October 5th 2011. This Tab is available for only Rs.1,200/- for students after subsidy by Government of India. the provided toll free no. 18001802180 is showing busy every time.since last 2 days i has try the same 100 times but i got same reply dialed no is busy try latter. is this a fake no. it is like that if you are lucky then & only then you get connected to this no. make arrengment to provide another no. to avoid this. this is the cheapest tablet .so I wana purchase it &I want to say thanks AKASH PC for making this tablet . sir i am collage student or B.E .so i want to buy the akash tablet. I want to buy aakash tablet for students and i m studing in TRR engineering college, patanchervu, hyderabad, andhrapradesh, i wanna purchase it. I have filled the requirements in given enquiry form before 15 days,when will available the PCs in market.pl.give details. This is very good article by the member.Please posting your good articles here and get maximum benefits by Google and MWC. i want to buy aakash tablet for students.i am student of lovely professional university,punjab. i wnt akash tab pc as soon as posible. i want to buy aakash tablet for students. Hello...I am looking forward to buy an akash tab but cant find one? What do I need to get one...suggest guyz...!!! I am a student of M Sc (physics) ,SKU,ANDHRA PRADESH. tell me how to get it ? i m a student of iit kanpur.i like to tell dose people who want to buy aakash tablet that it cannot be booked online. if it is booked online then u r going to get it at the last of next year. I want Akash Tablet.Please give me confirmation. please book my tablet price 2999 Rs. give me replay thankyou. please book my tablet price 2999 Rs. give me replay thank you. which is usefull for the children or students doesnt matter i want by this tablet for my son who is 5 years old he play all time with electronic gadget. sir i m the student of enginering. i want to buy akash tablet. i am student of bca from aurngabad bamu university. every one want akash tablet as well as me too. can u give me that. I want a AKASH TAB. for my son , he is student of class 12 , he is prepering of engg. class. So it is very useful for his study. i m aliza BDS final student.i m really impressed wd the features of tablet i really want 2 get it.plz tell me d procedure at my id. SIR I WANT AKASH TABLET PC, FOR MY EDUCATION PURPOSE. THANKS. hi sir my name hashim i am student of itc i want akash tablet . hi dear sir my name is sukhmani,i am the student of enginering,i need a akash-2 tablet(ubislate 7+)at student discount(Rs 1700) for my study purpose.plz deliver it as soon as possible as my xams are near. In case of student TAB is there is any compromises with Quality n Features ?? as i am student of engineering i want fully loaded TAB as available for commercial aakash-2 .... pls guide me. @raj you are right the shipping of aakash1 tablet has been stopped because of its local quality. Govt has denied to take the order of 70000 pcs after taking the order of 30000 pcs and said that the tablet's quality is not good and he want upgraded tablets for students. Kapil sibbal also said that students would get the upgraded tablet at same price as aakash1. The upgraded version would have 700 mhz of processor and android 2.3 gingerbread. MY NAME IS GAURAV STUDENT OF GOLDFIELD ENGINEERING COLLEGE FARIDABAD. IWANT A AKASH TABLET 2 . CALL ME AT 8287907837. MY PINCODE IS 121004 .
myself Pragati Kumar and i am student of engineering.I will want buy an akashtablet 2.
hi.sir my name is neetesh lahariya from ojaswani institute of management and tech.damoh.I want to akash 2 pleace contact me my no.is 8827827888. I am a student of junior college in Mumbai. How to get Aakash tablet 2 in Mumbai? Can I book through my college? I am a student of class 11 science. I like to get Aakash 2 tab. When does it arrive in schools? I'm an Engineering student of Adhi para shakthi college. I would like to purchase my own Aakash tab. Sir, please help me to get an tab. My name is Dipti Sachan and I want to book Aakash-2 tab. I am an engineering student from CSE. Please tell me how to book it. My name is Birender Kumar and I want to book Aakash-2 tab. I am an student from CSE. Please tell me how to book it. I am a plus two student. I want to book Aakash 2 tab. I am a class 9th student of DAV School, Jind (Haryana). Please book an Aakash tab for me. HELLO SIR IWANT AKASH TEB ON LINE FOR STUDENT BY GOVERNMENT OF INDIA HOW PROCESS TO THIS ? sir i am a student of pollitechnic college So please sir i will want buy on akash 2 tablet booking . Sir, I am a student of 9th class (CBSE) and want to purchase the latest model of Akash Tablet on subsidized rate approved by the Central Government @ Rs. 1800/- each. Kindly suggest me the method of booking Akash Tablet. I ordered Aakash tablet pc in Feb 2012 but I did not get it yet. Please send me Aakash tablet pc. Hi, I am student of 11th .I want to buy Aakash tab. How to book it. Sir, I am student of Gov. Polytechnic, Pilibhit. I want buy Aakash 2 my contact no.- 8546062553. Please tell me. I am a student of B.com 2nd yr. I want to buy Aakash tablet. How to book it? I want to buy Aakash tablet. How to book it? I am a student of MFSC 1 yr and I want to purchase the latest model of Akash Tablet on subsidized rate approved by the Central Government Kindly suggest me the method of booking Akash Tablet. How can I book one for myself? sir i want to buy akash tabelt and iam the student of ph.d. I am amit solanki, student of information technology. Please tell me how I can book aakash tablet 2. I want to buy aakash tablet sir. How should I buy it? I want to buy aakash tablet sir. How should I buy? Please guide me. My name is Anupam. I live in Dimapur. How can I book an Aakash tablet? I am a Xth standard student. I am student of diploma in electrical engineering. I would like to get an Aakash tablet. I am pursuing BCA from Sikkim Manipal University so I need Aaksh tablet. I m student of 1 st sem MBBS. I want to get it in govt. Free scheme. I want to purchase Aakash2 tab in a price of student category. I want to purchase akash2. My contact number is 8085457877.